The use of voice search will radically increase the search experience. Search engines, like Google, Bing, and Yahoo will begin to place a higher importance on voice search optimization. As we know the point of SEO is to rank websites so that when users enter a search query, either by text or voice search, the most relevant content is pulled up first. It is important that digital marketing experts account for both voice search optimization and traditional optimization in their websites. Being that the two are very different it is crucial to understand that some factors that affect traditional rankings may or may not have a similar effect on voice searches. Below are some tips to help balance the two very different search engine optimization strategies. When a user searches for content on a PC or mobile device, they often use short phrases or long-tailed keywords, think of the phrases you use in bullet points. If you want to find a roofer, many users will type in the keyword phrase “roofing contractors near me”. However, in a voice search the user may ask “Who is the best roofing contractor to install my roof’. For your content to be optimized correctly for both traditional SEO and voice search, it is crucial to include naturally sounding, long-tailed keywords in combination with short, snappy keywords. Make the content easy to comprehend, content should be written at a 9th grade reading level or below for maximum comprehension. It is the question we are asked more than any other, “How do I get my website on the first page of Google?” and as we previously mentioned,there is more than one way to reach Googles front page. In this installment we will look at gaining first page Google access both through paid ads and organic searches. Let’s start by talking about paid advertising, more commonly known as Google Ads. This is the quickest method in which companies can get their website to be viewed on page one of the Google search engine for particular keywords and phrases. One of the easiest ways to describe Google Ads is to compare it to an auction. Once you have created and set up a Google Ads account you will create bids for targeted keywords and phrases. This bid is the amount you are willing to pay for ad positionings for your targeted keywords. Pay per click as it is referred to allows higher bids to appear closer to the top of the page with all other elements being equivalent. There is a lot more that goes into paid per click advertising on Google. This is however a very simplified approach to introducing the concept of paid advertising. Website owners will choose a daily budget that they don’t want to go over and once this amount has been spent your ads will stop showing. Ad scheduling helps to narrow down the time frame which your ads are shown. It is important to note that you will have more ad impressions than ad clicks. In pay per click advertising you are only paying for those clicks to your actual ad. Setting up campaigns with quality ads and keywords will lead to a higher quality score, further enhancing the positioning of your ads. There can be a large difference in campaign costs between industries. For highly competitive industries such as construction, legal firms, and IT companies commonly have bids ranging from $1.00 up to $100.00. Paid advertising can be cost prohibitive especially when not properly managed. CPS has a Google Ads expert on staff. It is common for companies to set up a Google Ads account without professional assistance. Google has made it very simple to sign up and create ads on their platform. Bing has a similar product as well. The problem is that if you don’t know what you are doing you can easily waste hundreds of dollars. I suggest all companies hire a professional that is certified in Google Ads to create and manage your account. They will be able to optimize Google Ads and your company’s website to work together to create the best experience for your paid advertising campaigns. Certified Google Ad specialists often charge a one-time account set up fee and monthly maintenance. You can expect to easily make up the cost of professional services with the benefits you receive in increased traffic to the site within the first few months if not the first month. The pages throughout your website need to be full of content that is easy to read, informative, and unique. The on-page content must be beneficial to the reader. Your content should be only as long as it can be while maintaining quality. Create content that your target audience will find useful. Google ranks your website higher than similar websites when other sites link to yours, especially large scaled, relevant websites. When other websites, third party links, show acceptance by creating inbound links to your site Google sees that as a signal that your content is worthy and therefore can have a higher SERP. With the increase in the number of people accessing the internet via smartphones and tablets, Google is placing mobile-friendly websites ahead of those that aren’t. Websites need to be optimized for mobile devices so that they are easy to navigate. Users on all platforms should access the desired information with speed and ease. No one notices the speed at which pages load unless they load slowly. Well, no one except Google that is! Web pages must load quickly no matter what device they are being viewed on. Patience is a virtue that most internet users don’t have therefore in order to provide the best sites possible within SERP the loading speed of pages is measured. 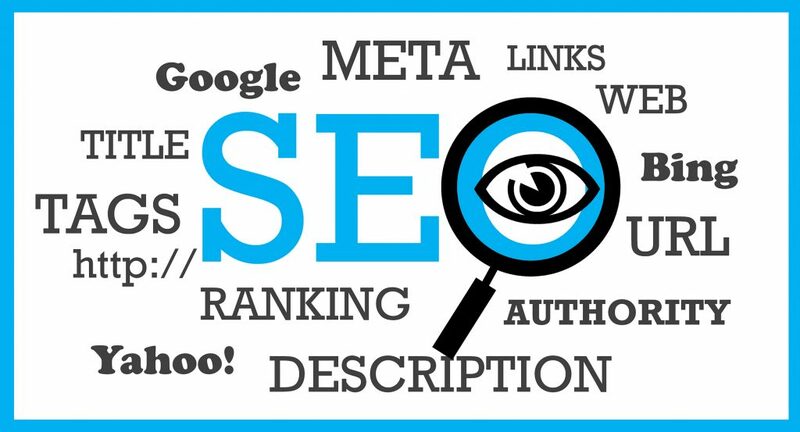 Another element that is considered important in SEO is using the keywords and phrases you desire ranking for within your sites on page and off page content. These should be used not only within the content of the page but also the headers and meta details. It is important to not overdo their usage as this is known as “keyword stuffing” which Google will penalize you for. Content should be written in language that is easy for humans to understand. Keywords should be used sparingly and kept as natural sounding as possible. This is something new companies don’t have a lot of control over however, the longer you have owned a domain the better. The more pages that contain your domain name along with quality content the better for ranking. Using keywords within your domain can impact traffic and therefore rankings because users are more likely to click a relevant domain name vs a competitor’s domain that shows little relevance to the search. Google places priority on secure sites vs non-securesites. A website should load via https. Not only does Google give placement preference to secure sites, site visitors prefers to visit secure sites as well. This is true even if you are not obtaining critical information such as credit cards. Google wants all sites to have an SSL installed in order to load website pages in a secure format. Business listings are one of the best FREE ways to“advertise” your business. Take time to claim and optimize your business on Google (and other major searchengines). Business listings are listed right after Google Ads, pay-per-click, and before organic searches on the SERP. This listing allows clients to leave reviews, see your business on a local map, and shows all relevant business information like hours of operation, address, and more. Blogging is one of the best ways to create a buzz about your company. If you want to rank on Google,start a blog and post regular articles and company updates. Blog ideas can be difficult to come up with,so my advice is to consider the top 5 questions customers would ask you if they were in front of you. Then write a detailed answer to satisfy each of these questions, one blog post per questions. 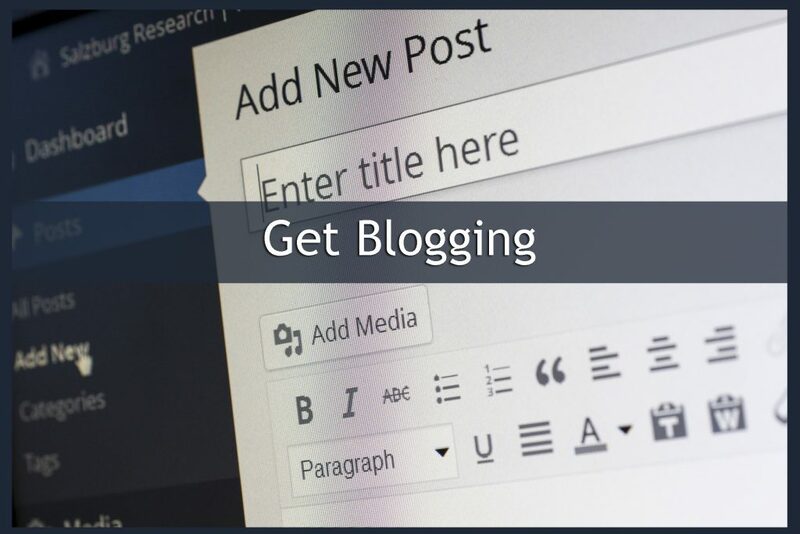 Make sure to note the title of your blog; it is a crucial element to each blog post. Quality link building can be done in a number of ways. Guest article writing is one of the best ways that businesses can build links. Write an article for a local paper, industry blog or magazine, or whatever reputable source you can find to publish you. At the end of your article add in a bio with a link to your website and information about your company. Create listings of your business on local and industry directory sites. Sites like Yelp, Foursquare,and Angie’s List, some of which charge a small fee, are great sources to create business listings. Creating a healthy online profile through trusted directory domains send a trustworthy signal to search engines like Google. If other sites trust yours this will only help your SERP. Just remember that you are never done! In order to get to the front page of search engines and maintain your placement it is critical to remain persistent in your efforts. Staying one step ahead of the competition is what will ensure your placement at the top! Every business on the internet wants to know how they can get their website ranked well enough to show up on the first page of search engines, mainly Google. It really is a million-dollar question and if the answer was as simple as the question then I would be out of a job however, it is not simple and instead requires a great deal of patience, time, effort, and understanding. The good thing is you are in the right place to start the adventure of 1st page Google rankings and we are the team of experts that can help get you there! It is important to first understand how search engines like Google work. Many people use Google and the Internet interchangeably. This is however, incorrect. The internet is, “a global computer network providing a variety of information and communication facilities, consisting of interconnected networks using standardized communication protocols.” (https://www.dictionary.com) In real people speak, the internet is the one source where the world can connect without borders. This connection involves search engines, web sites, and more. Google is not actually the Internet and even if your site is not ranking on the first page of Google does not mean it is not showing up on the Internet. What it does mean though is that your website it lives on the internet but is not displayed as an option in Google’s search results for the exact keyword that was searched. Google is not human, it is in fact an automated system that works 24/7/365 visiting websites throughout the internet. Google takes a glimpse of each page within the website and tucks this information into a large database where it organizes this information into usable data for later search inquiries. In theory Google is “reading” the content on pages of your website including text, pictures, video, and audio files. This data is used to determine exactly what that page of your website is about and uses it to decide what web pages to show in searches and in what order for specific keywords and keyword phrases. In real speak, Google uses several elements to create an algorithm to establish what pages (websites) within the Internet are the most relevant to the specific phrase that is searched and displays them in order of relevance. These results are known as SERP, Search Engine Results Page; the result, the SERP is defined as the first ten website pages that are shown. A SERP itself is broken down in a unique format. The top results are usually comprised of paid ads that come from Google Ads, formerly known as Google Adwords. The next section is filled with local businesses listings and a map laying out the locations and basic service area. After that you will find the main area where the organic listings are found. These are the top 10 webpages Google has found that are relevant to the search term(s) as described above. Often clients are on Google but just aren’t showing on the first page results. There are several factors that play into where your site pages are ranked within Google for searches using keywords and phrases that are relevant. The goal is to rank on the first page but just because you aren’t on page one doesn’t mean that you aren’t “on Google”. To get ranked by Google your website and pages need to be indexed. This is the case for all search engines not just Google. There are several ways that this can be done: manually through an indexing tool such as Google Search Console or automatically over time as Google is scanning the internet it will find your site. This process can take some time though so if you have a newer site it is in your best interest to have the pages of the site manually indexed. If your page is not showing up in Googles search results for a keyword or phrase you think it should be it is time to evaluate the reasons this is occurring. Remember to look as you may not be coming up on the first page results but instead on a later SERP. Both are “issues” that can be resolved. I know what you are thinking, “Ok, my site is there on page 17 but how in the world do I get it on page 1 where it will actually be seen?” This is the million-dollar question, it is what all website owners strive for. In fact, so much that there is an entire industry that was created to do this one specific thing, RANK WEBSITES AND PAGES ON GOOGLES FIRST PAGE! As we have mentioned, there are two ways that first page Google rankings can occur: paid advertising (Google Ads) and organic listings. In our next installment we will dive into each method of reaching Googles front page. The one thing to remember is that if it was easy everyone would be there. The process of ranking on Googles first page through either paid or organic listings is not simple or overnight. It will take time, patience, and perseverance to obtain the status you are looking for with your website. Thankfully you have found right where you need to be! The professionals at Creative Programs and Systems are here to lead the way. One of the most important aspects of creating a new website is making sure that your target traffic can easily locate you. The planning process involved requires business owners to consider what keywords and keyword phrases people will type into search engines in order to find them. Content is then created around these searches to maximize ranking results. That has worked well in the past but with new technology and voice search now is the time to reconsider website content. Voice search technology is when people use their voice to ask devices such as computers, phones, Alexa, Google Home, and such devices to aide in their search of the internet vs sitting at a device and typing the search into a search engine. More than half of all internet searches are said to come from voice activated technologies by the year 2020. Each year the number of voice-activated speakers purchased increases ten-fold. It’s pretty obvious to us that in order to continue to be successful websites need to be adjusted to accommodate for both voice and type searching. People are using voice search technology mainly because it is so fast and easy to use. You can search using your phones while on the go. Information is easily received whether you are in the car, at a restaurant, or sitting in your front room, no matter where you are at voice search technology allows you to easily access information. 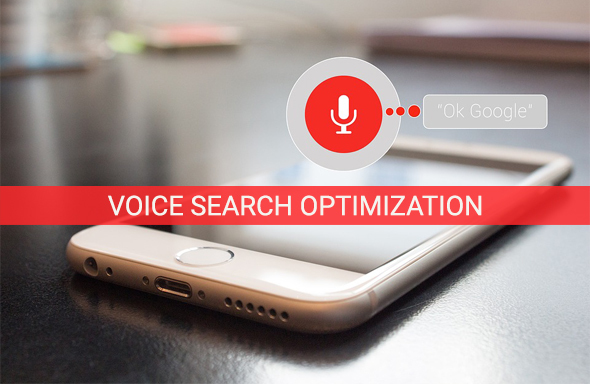 There are a number of things voice search technology changes when it comes to search engines and optimizing your website to meet the needs of your customers. One thing this means is longer search phrases. When people speak they tend to talk in complete sentences whereas when typing the phrases are shorter and more to the point using basic keywords. Traditional Search: Clients are more likely to input a keyword or phrase without adding to it: “voice search” or “voice search stats 2018”. Voice activated applications have been programmed to understand our natural speech patterns. They will understand longer text phrases and questions. 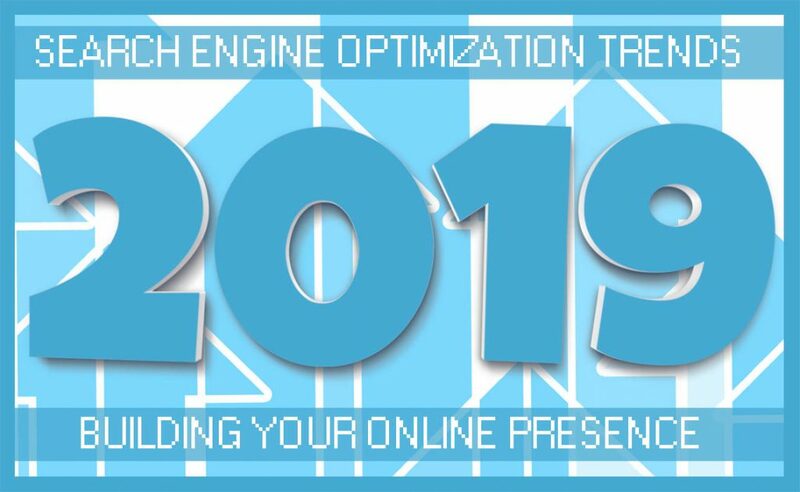 When planning to optimize your website for search engines it will be important to take this new information into consideration. Keyword optimization will no longer only revolve around simple keywords and long-tailed keyword phrases it should now include answers to questions and longer phrases. With voice search technology becoming more and more common, optimization for search engines is going to focus more on the long-tailed keyword, a keyword that is more than three to five words. Whereas previously websites would have been optimized for “kitchen remodeling” with voice search optimization should include “kitchen remodeling trends for 2018” or “local contractors specializing in kitchen remodeling 2018”. Websites that are designed with voice search technology in mind will have a huge advantage over older website designs that do not redesign their sites to include optimization for the new technology. Long tailed keywords and phrases are less competitive and therefore easier to rank for. Designing a website around this now will ensure you are prepared as voice searching becomes more and more common. Currently the most common voice search is your business’s phone number and address. Don’t hide that information on your site within an image or logo. The phone number and address need to be easily found and recognized. Your companies Google business listing should include an up to date address, phone number, and website address should be easily available if a client does a quick search of your company’s name. If you are looking for local customers include phrases such as, “near me”, “local”, or “close by”. The popularity of keywords that include these phrases has increased over 500% in part due to voice searching. Content should be structured for the intent of your users. What are your users looking for? What information are they trying to find from your site? Optimizing for Google means that your sites content gives answers to the user’s questions. Blogs or a blog series should be written in a manner that also answers your customers questions. Posts should specifically address questions that will be asked.